We are passionately committed to helping teachers succeed on their exams, in the classroom, and in their careers. PrepForward has helped thousands of educators with effective, flexible preparation for their teaching career. We want to help teachers gain the knowledge and skills to enhance their classroom instruction and increase student achievement. We are teachers and have been through the ropes. We know the quality of education is defined by the leader at the center of the classroom. We are here to help teachers, now and at every stage of their career. Our team are experts in online learning, teaching and content development. We are passionate educators who are dedicated to helping you succeed. Mary Stephens (nee DeSouza) – Mary’s enthusiasm for e-learning combines extensive education experience with a love of technology, beginning with BS and MS degrees from MIT in Computer Science and Electrical Engineering. For over 20 years, Mary has designed curricula and taught all levels from discrete math at MIT to K-12 math, computers, humanities, and science. Her technical expertise emerges from years in industry with companies including Edusoft and Oracle, where she worked in product management, strategy, and engineering. Mary has spoken at international education conferences and has served as research and development manager at Houghton Mifflin Harcourt, professional math consultant at Merrimack College, founder of Omega Teaching, and board member of Alpha Public Schools. In addition, she taught math instruction courses to prospective teachers as an adjunct faculty at UMass and Elms College. She can be contacted at mary@prepforward.com. Here is a little bit more of background of some of PrepForward’s expert team of curriculum developers and instructors. Amy received her Doctor of Education degree in Curriculum and Teaching, served as Director of Strategic Initiatives at Boston University’s School of Education, and worked as the Senior Director of Operations at Simmons College. For over 20 years, Gregg served in senior executive roles at leading educational firms, including Kaplan, ETS, and Pearson. He also was COO of TC Innovations at Teachers College Columbia University. Carol has an MA in Education from Harvard, was a former New York school principal, and served as Executive Director of the Association of Higher Education and Disabilities. Jerry is a Massachusetts recipient of the Presidential Award for Excellence in Mathematics and Science Teaching and an instructor at UMass. Doug received his Ed.M in Teaching and Curriculum from Harvard, taught high school social studies, and led the development of Edusoft’s formative assessment items. Ashley teaches Composition and Creative Writing at the University of Memphis. Sam is a professional statistical analyst with an MS in Mathematics. We also have a large team of experienced special education teachers and curriculum developers that have run programs for students with disabilities, developed assistive technology products, worked internationally in special education, and received and given specialized training in working with students with disabilities. Our resident techie Andrew is a veteran of the e-learning space, and previously, a senior software engineer at Houghton Mifflin Harcourt, Curriculum Associates, and Pearson. Launch your EdTech career with a paid internship with PrepForward. Please see this page for more information: Internships. 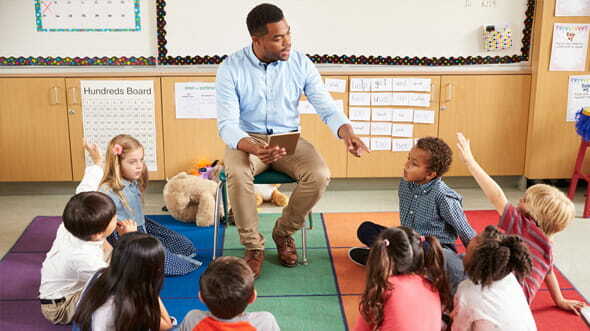 Learn more about teacher preparation, test tips, online learning, professional development, and a variety of other valuable teacher topics. We hope you find resources you can use.